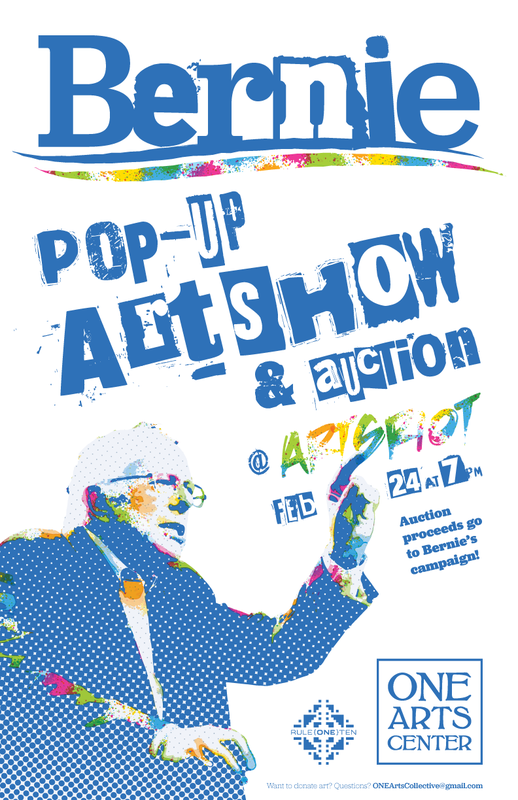 ONE Arts and ArtsRiot are thrilled to invite you to a Bernie Pop-Up Art Auction, Wednesday, February 24th at 7pm at ArtsRiot, 400 Pine Street, Burlington to support Bernie Sanders for President. Join us for a pre-auction art social, art auction to be followed by a Bernie Party! Art will be auctioned to the individuals who donates the most to the Bernie campaign on the spot. The entire auction is a donation to the campaign! If you are interested in helping out with any part of the event, submitting artwork, and/or a 30 second video clip of your support for Bernie Sanders contact oneartscollective@gmail.com. Or call Mellisa at 518.649.6464…..Let’s get together, get excited, and #FeeltheBern! !